New look. New events. New startup pitch opportunities. 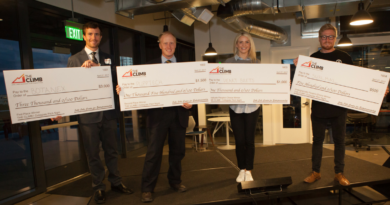 Collegiate and Colorado community startups and aspiring entrepreneurs can now submit their business ideas for the chance to win up to $50,000 in cash and prizes. 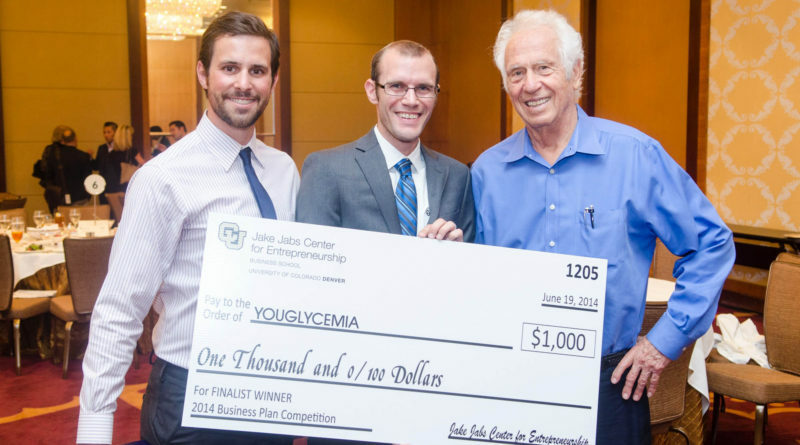 The Jake Jabs Center for Entrepreneurship at the CU Denver Business School has launched its annual business plan competition with a series of new events and opportunities for competition participants this year, as well as feature a new name and icon. 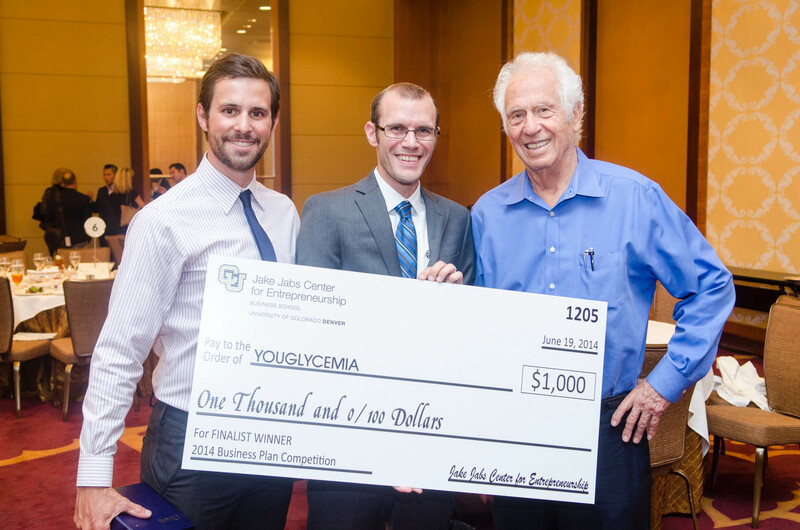 THE CLIMB | Jake Jabs Business Plan Competition, which has previously been held in the spring, has now moved to the fall with submissions open Sept. 1-27, 2016, and events scheduled throughout the season. Set to kick off with an Orientation and Business Plan Workshop Sept. 8 at the CU Denver Business School, THE CLIMB | Jake Jabs Business Plan Competition has created a non-collegiate track for Colorado-based startups and added Arizona as a qualifying state for collegiate applicants, in addition to many other exciting additions. With more than 500 mentor hours shared and $1 million awarded since 2001, the competition celebrates 15 years of guiding entrepreneurial thinkers and empowering them to blaze their own trail. Non-collegiate “community” competition. Traditionally, business plan competitions are open to collegiate participants only. This year, the Jake Jabs Center team voted to create a new track exclusively open to Colorado-based startups to recognize the entrepreneurial business community that often inspires and serves as resources for collegiate teams. Expanded competition footprint. Competition organizers have added Arizona as an eligible state, expanding the competition’s Rocky Mountain West reach which currently includes Colorado, Wyoming, New Mexico, and Montana. This is the first time students at all Arizona colleges and universities will be eligible to submit their business ideas to the competition. A vote from the people. In addition to a remarkable team of judges overseeing the competition, including namesake Jake Jabs, the general audience at the Collegiate & Community Pitch Night event on Thursday, Oct. 13 will have the opportunity to invest their “CLIMB cash” to award one collegiate team and one community startup with cash prizes through the People’s Choice award. “As a public university with strong ties to our community, we wanted to give people an opportunity to engage in the competition and cast their vote for who they think would keep Colorado’s entrepreneurial spirit moving forward,” said Parthasarathy. THE CLIMB | Orientation & Business Plan Writing Workshop on Thursday, Sept. 8, 5-6:30 p.m. at University of Colorado Denver Business School. Interested participants can attend in person or via online live streaming to learn more about the competition and receive tips for improving their business pitches and executive summaries. Participants are encouraged to register in advance. THE CLIMB | Startup & Business Plan Workshops on Thursday, Sept. 22, 6-9 p.m. at Galvanize Denver – Platte. This event will bring together area experts in bootstrapping, finance, marketing, public relations, social media, legal, and venture capital to host a series of free informational seminars and workshops open to the startup community. Participants are encouraged to register in advance. 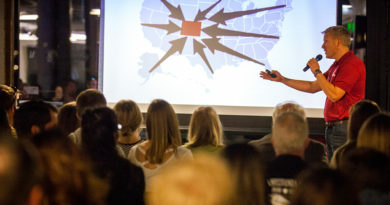 THE CLIMB | Collegiate & Community Pitch Night on Thursday, Oct. 13, 6-9 p.m. at Galvanize Denver – Platte. Teams chosen to advance will test-drive their elevator pitches at Pitch Night. Mock investors will be outfitted with $1,000,000 in pseudo investing capital they will hand out to entrepreneurs with the best pitches. 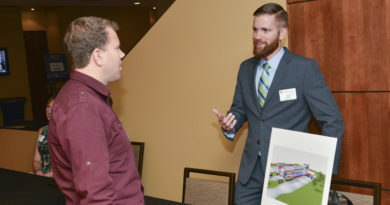 The collegiate and community entrepreneur with the most capital at the end of the night will win real money, totaling $2,000 for the collegiate and $1,000 for the community winner. THE CLIMB | Collegiate & Community Semi-Finals on Thursday, Nov. 10, 1-4 p.m. at Space Gallery. Semi-finalists advancing from Pitch Night will compete for the chance to win cash awards to support their startup businesses. Collegiate semi-finalists chosen to advance will present at the final pitch event in the evening. THE CLIMB | Collegiate & Community Final Pitch & Awards on Thursday, Nov. 10, 6-9 p.m. at Space Gallery. A night filled with excitement, the top eight collegiate teams will showcase their companies and compete live on stage in a “Shark Tank” style pitch to celebrity judges. Non-Collegiate and Community winners will be announced and awarded more than $50,000 in cash and prizes. Students and startup companies interested in participating in the business plan competition can visit jakejabscenter.org/business-plan-competition to read eligibility requirements and submit video pitches and executive summaries. Submissions will be accepted starting Sept. 1 at 12 a.m. MST, and close Sept. 27 at 11:59 p.m. MST. For questions and additional information, contact Brittany Dunnigan at brittany.dunnigan@ucdenver.edu, or Sarah Engel and sarah.engel@ucdenver.edu.